There’s no place like L.A. and especially Hollywood to stage a world-captivating drama. This is what the globalists do whenever they need the perfect set to produce a show that’s necessary to fear-monger and bamboozle the entire planetary civilization. Let’s face it: there’s simply no greater boogeyman than the Global Climate Change beast. It was fabricated by TPTB in order to implement the final phase of the New World Order agenda, and especially to foist a One World Government upon the world community of nations. Before such a One World Government can be imposed on the planet, TPTB know that they must sufficiently manufacture consent around the most threatening environmental issue of the day–climate change. 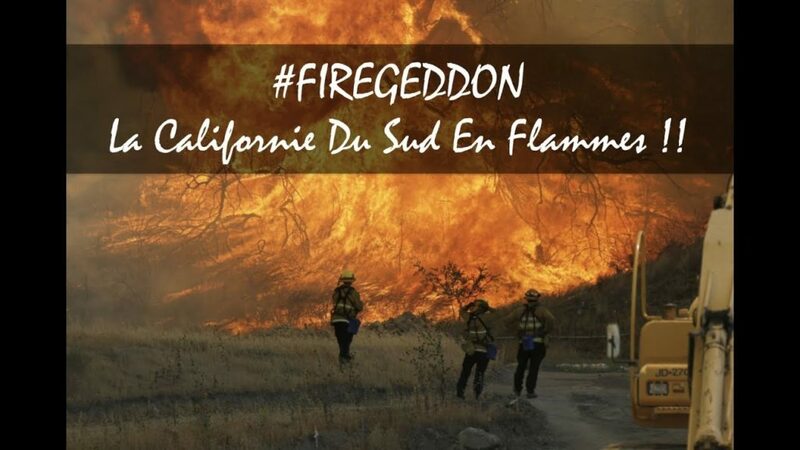 KEY POINT: As the world watches Southern California burn…and burn…and burn, the covert directors of this stealth production hope to shock the American audience into submission. Surreptitiously using the Hegelian Dialectic — Problem ~ Reaction ~ Solution — has almost always enabled TPTB to manufacture consent to further lock down the place. No other ploy is so effective than those which convince the citizenry to request their own debt enslavement, economic limitation and/or territorial imprisonment (See this revealing map of the USA). Toward that end, the United Nations was first used to pitch the sovereignty-busting Agenda 21. With that fraudulent plan stalling and stagnating, the same clandestine UN perps fabricated the 2030 Agenda for Sustainable Development. Both of these highly oppressive schemes were designed to strip nations of their sovereignty and cede extraordinary amounts of power to an unelected international body—the U.N. However, the ultimate goal is to activate the currently hidden One World Government in order to exert complete command and control over all of the Earth’s natural resources, as well as the local weather and regional climate patterns. Like any false flag terror operation, the geoengineered California firestorms have been perpetrated by the usual suspects for a variety of reasons. Whenever a dramatic black operation and overwhelming psyop on the order of magnitude of California’s FIREGEDDON is executed, you can be sure it is also serving the explicit purpose of distracting from a major piece of legislation under consideration in the nation’s capital. Of course, the only bill of any gravity that’s being bandied about is Trump’s tax proposal. Hence, there’s no question that FIREGEDDON is meant to distract from that unmitigated disaster of a bill. See: When both McCain & Corker back Trump’s tax plan, you know it’s a catastrophe for the American people! In the case of naked false flag terror attacks like FIREGEDDON, there’s usually a HUGE international event transpiring that is also being diverted from. The sheer horror and impending peril to so many [LIBERAL] residents in Southern California is simply too great for there not to be a carefully hidden agenda of global proportions. And so there is. Lastly, we come to the star of the show—Jesuit Jerry Brown. 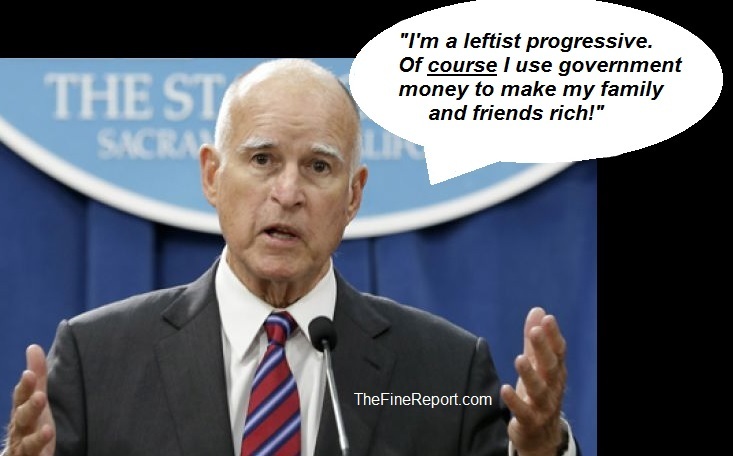 Brown didn’t receive his moniker “Governor Moonbeam” for nothing. Given his utterly calamitous tenure in Sacramento, it ought to be clear to every Californian why this guy needs to go…YESTERDAY! Rather than spend money on conducting statutory fire protection, prevention and management statewide, the guv has supported a recently estimated $64 billion boondoggle known as the LA-SF Hyperloop. And that’s the good news as it pertains to Governor Brown. The bad news is that he’s a stone-cold globalist who was shoehorned into high office by his Jesuit handlers and globalist bagmen. And, that Brown was put there to carry out an extremely nefarious agenda; just look at the quickly deteriorating condition of the once “Golden State”. This is a guy who has been given volumes of evidence proving that the California drought was geoengineered, and yet he continues to hawk the fictitious CO2-driven global warming scam as the cause. Because Brown has pitched the false climate change data for so many years, he has no choice but to perpetuate the sham where it concerns FIREGEDDON. The two go hand in hand calculated by the geoterrorists for obvious reasons. Now the country knows why California is a sanctuary state, and has been at the forefront of promoting instant citizenship for illegal aliens. Brown has led the fight for the DACA crowd like no other governor as this [ILLEGAL] voting demographic constitutes his voting base. The massive number of illegal immigrants in California is such that Democratic majorities in the statehouse are now guaranteed for perhaps decades…barring a 12.0 on the San Andreas fault or in the Hayward fault zone. Brown has become America’s #1 advocate for violating U.S. immigration law. His globalist masters selected him because he has always shown complete disregard for both federal and state law by way of willful negligence. As a attorney by education and training, he knows how to circumvent the law as well as anyone in the Golden “Charcoal State”. 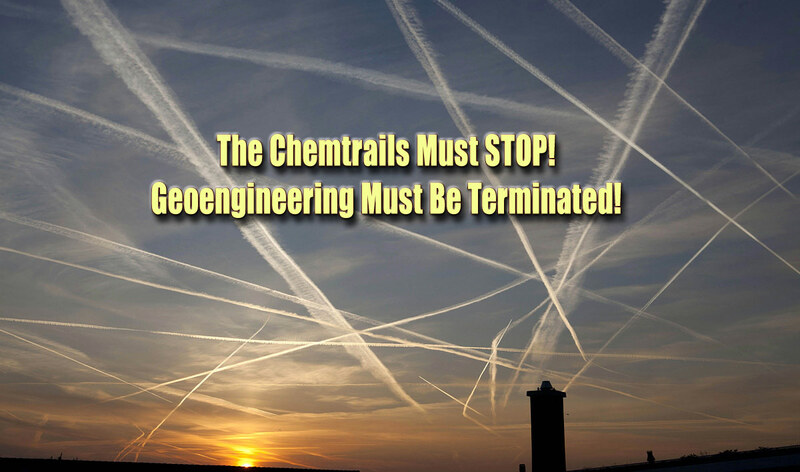 More importantly, Brown has allowed California to be geoengineered into a tinderbox so that every square inch of the state is now combustible. Then he blames climate change for FIREGEDDON, which was actually caused by unrelenting chemical geoengineering operations being conducted nationwide via chemtrail spraying and chembomb aerosols. The only way that state-sponsored environmental terrorism such as FIREGEDDON will be stopped is for the victims (and their families and friends) to demand it. When the vast majority of folks don’t even look up at the sky, much less question how blue skies are turned overcast in an hour or two, what are the aware citizens to do? Because of this grim reality, the single best way to terminate these daily invasions of our personal sovereignty is to go after the Jerry Browns of the nation. These profoundly corrupt politicians must be removed from power. Their influence must be diminished to zero—post haste! Not only should Governor Brown be impeached, he needs to be aggressively prosecuted for crimes against the people. The list of his transgressions is long and serious: (i) official misconduct, (ii) willful and malicious neglect, (iii) misfeasance, nonfeasance, and malfeasance, (iv) nepotism, (v) personal enrichment, (v) political corruption, etc. Only when these career criminal politicians fear We the People more than they fear their masters in Deep State, will the government stop terrorizing the citizenry.